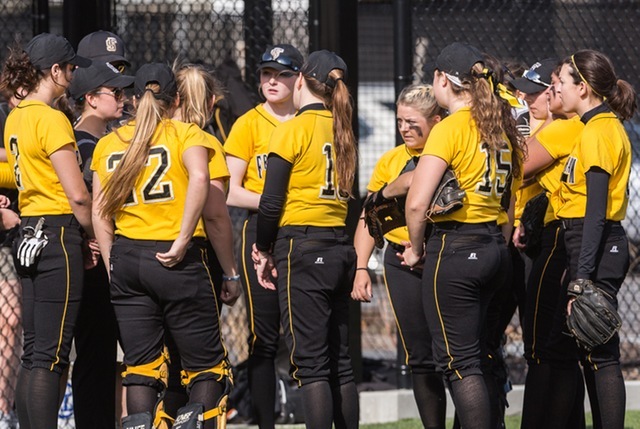 CAMBRIDGE – The Framingham State University softball team saw their season come to a close Sunday with a 6-0 loss to #18 Tufts University in the NCAA Division III Tournament at the Cambridge Regional. Seniors Raven Fournier and Sarah Finnigan both had two RBIs to highlight a five-run third inning for Tufts as the advanced to the championship round Regional. Tufts (31-9) will face the host MIT Engineers in the championship round on Monday. The Jumbos, who lost 2-1 in 14 innings against MIT earlier on Sunday in the continuation of the winner’s bracket game, will have to defeat them twice on Monday in order to advance in the NCAA Tournament. Framingham State, led by two hits from senior Dayna Marchant at the top of the order today, finished its year at 25-17. Freshman starter Kristina Haghdan scattered five hits and five walks over six innings for the Jumbos. She combined on the shutout with senior Raina Galbiati. Rams’ starter junior Kelsi Gunarathne stranded three Jumbos on base in the first two innings before Tufts rallied in the third. They sent 10 to the plate and had seven hits while building a 5-0 lead. Fournier hit a two-run double and Finnigan singled up the middle scoring two. Sophomore Casey Maggiore also had an RBI single in the frame. 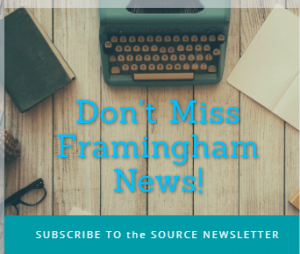 Framingham State loaded the bases with no outs in the bottom of the third, but a strikeout and a line-drive double-play for the Jumbos kept the Rams from scoring. Then in the fourth, FSU’s freshman Grace Caughey drove the ball to right field, but was thrown out at third trying to stretch it to a triple. Junior Kayla Finacchiaro, a Natick High product, and senior Anna Dziok followed with singles and junior Lauren Salisbury walked to load the bases again with one out. However, a 1-2-3 double-play turned by Tufts again kept the Rams off the scoreboard. The Jumbos would add a run in the sixth with the aid of a Framingham error and a double-steal. Senior Sara Willner-Giwerc scored on a ground out by Galbiati. Stevens and Finnighan both had two hits as Tufts finished with 10. Willner-Giwerc scored twice. Haghdan improved to 13-3 in the pitcher’s circle. Senior Jessica Pietersen was strong in relief for the Rams, giving up two hits and an unearned run in 4.1 innings.